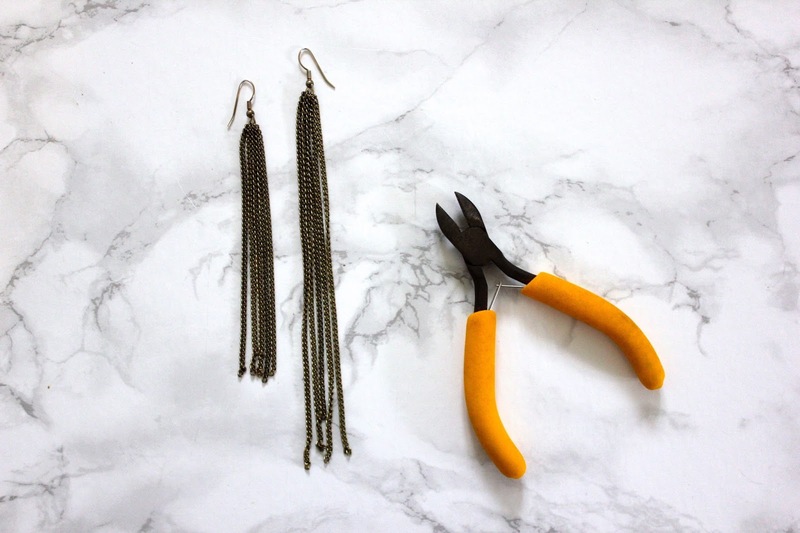 Use the round nosed pliers to open up each of the earring wires. 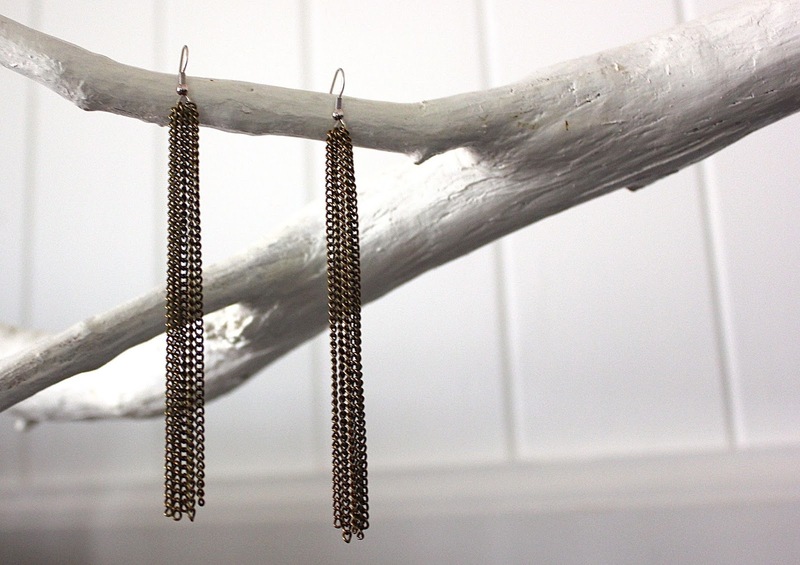 Thread half of the chains onto each earring wire. 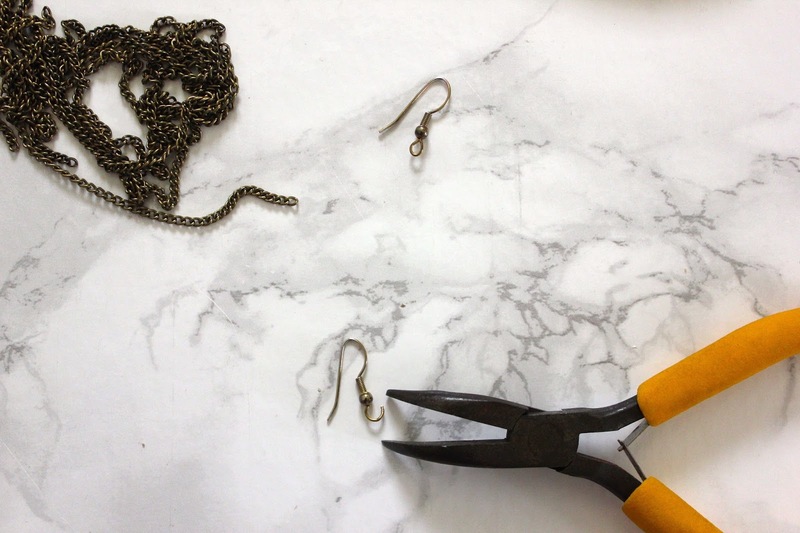 If you have one length of chain you will need to take the wire cutters and cut off lengths of chain. 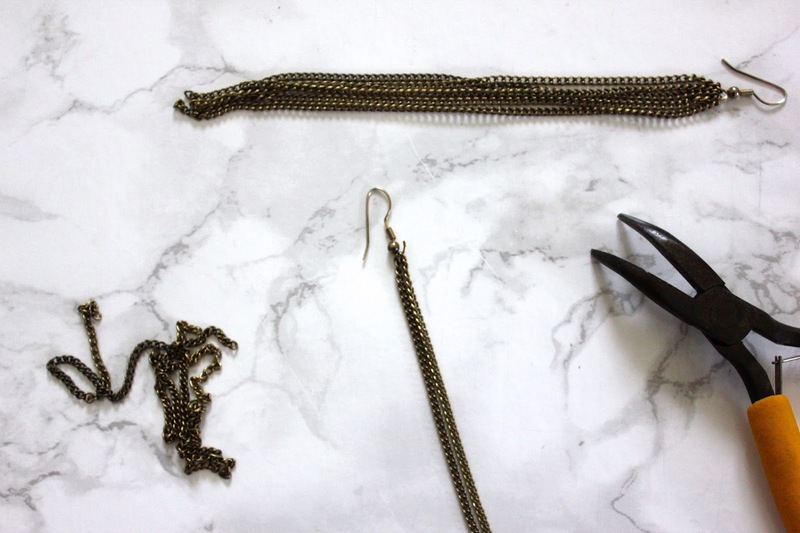 Close the earring wires and trim the chains to the length you prefer. 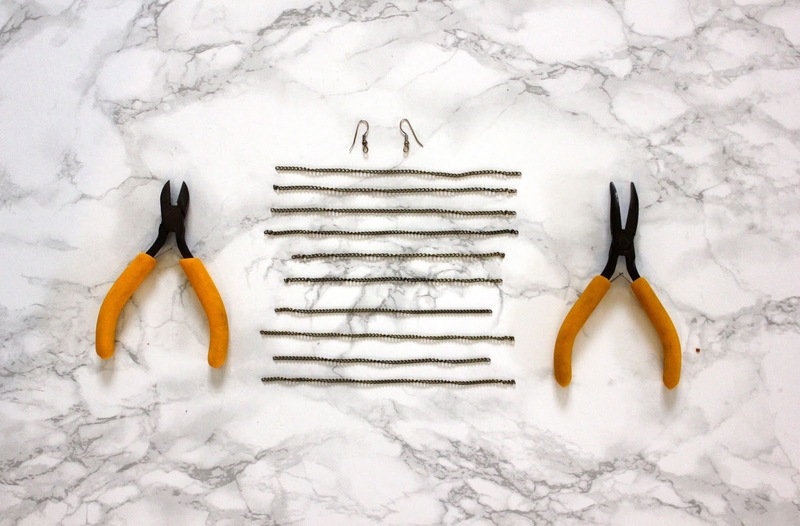 I chose to cut them all one length but you could also stagger them or make them all random lengths.